WASHINGTON, D.C. — A new poll conducted for the National Wildlife Federation shows 73 percent of Washington voters want to see the permanent reauthorization and full funding of the Land and Water Conservation Fund. National Wildlife Federation President and CEO Collin O’Mara said the results show that Washingtonians want their leaders in Congress to ensure this critical program continues to support outdoor recreation for families, hunters and anglers, and wildlife-watchers with the community parks, trails, public lands and outdoor spaces critical to our shared heritage. Conservation Northwest, the Washington State Affiliate Organization of the National Wildlife Federation and a local conservation leader for nearly thirty years, said the poll’s findings underscore the importance of the Land and Water Conservation Fund for Washington’s public lands, wildlife and thriving outdoor economy. “Many of Washington’s most cherished outdoor access sites were made possible or improved through the Land and Water Conservation Fund—from boat launches on the Skagit River and Puget Sound to access to razor clam beaches on the Pacific coast, wildlife watching and hunting areas in Eastern Washington, and city parks from Spokane to Seattle,” said Chase Gunnell, Conservation Northwest Communications Director. “Permanently reauthorizing and fully funding the Land and Water Conservation Fund is an important down-payment on stewarding Washington’s outdoor-recreation economy and wildlife heritage for generations to come,” said Gunnell. The telephone poll, conducted by Public Policy Polling on November 26-27, surveyed 501 Washington voters. 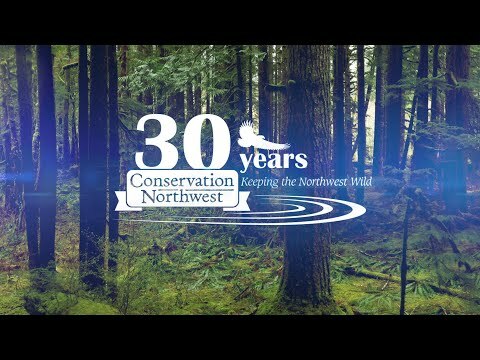 “Keeping the Northwest wild” since 1989, Conservation Northwest is a regional non-profit organization that protects, connects and restores wildlands and wildlife from the Washington Coast to the British Columbia Rockies. Conservation Northwest is the Washington State Affiliate Organization of the National Wildlife Federation. The National Wildlife Federation is America’s largest conservation organization, uniting all Americans to ensure wildlife thrive in a rapidly changing world.